- Breathable comfort, anti-bacterial deodorant , effectively inhibit the breeding of bacteria. - high elasticity sponge inner core, Wedge design, labour and time saving. - Help the caregiver to turn a person easily. - Relieve back, buttocks and waist pain, and help reduce the discomfort of swollen waist. - Removable and washable zip cover for easy maintenance. * Breathable comfort, anti-bacterial deodorant , effectively inhibit the breeding of bacteria. * Relieve back, buttocks and waist pain, and help reduce the discomfort of swollen waist. View More In Leg Positioner Pillows. If you have any questions about this product by SM SunniMix, contact us by completing and submitting the form below. If you are looking for a specif part number, please include it with your message. 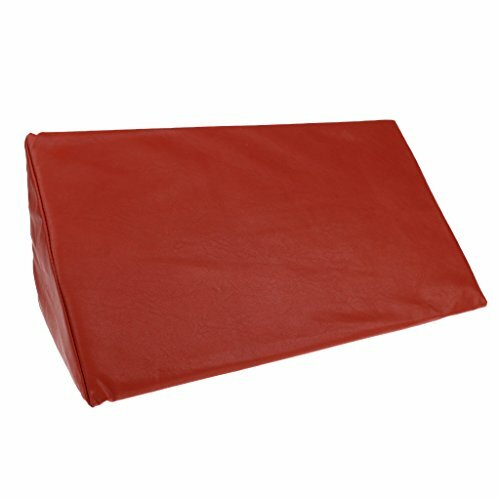 Core Products Model 1100 Leg Spacer Standard Size 10" x 8" x 6"